English amateur Ashley Chesters still enjoying a fine round, level par after 11. 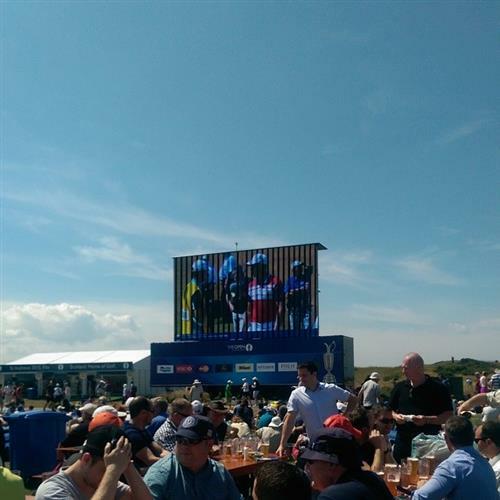 Electronic scoreboards at #TheOpen what does @TweeterAlliss make of it all by Jove? A birdie two from Brooks Koepka on the not-so-unlucky 13th and the 24-year-old American joins Karlsson and Garcia at the top. Solid progress from McIlroy. Two pars to follow his birdie on the second and the Northern Irishman is ticking over at one under. "It means everything to me," says Singleton, a local lad. 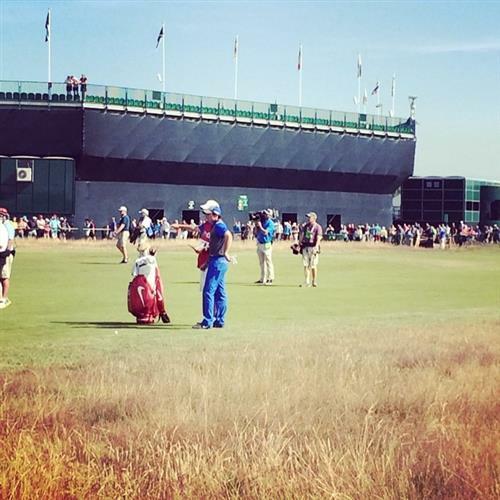 "You dream of playing the Open growing up, but you don't actually believe you are going to do it. And then to qualify at Hillside and to be playing at home, this all feels like the Olympics to me. Thursday will be some day. Friends and family all there. It will be one of the greatest days of my life." Movement at the top as Rickie Fowler birdies the 8th and goes three under. 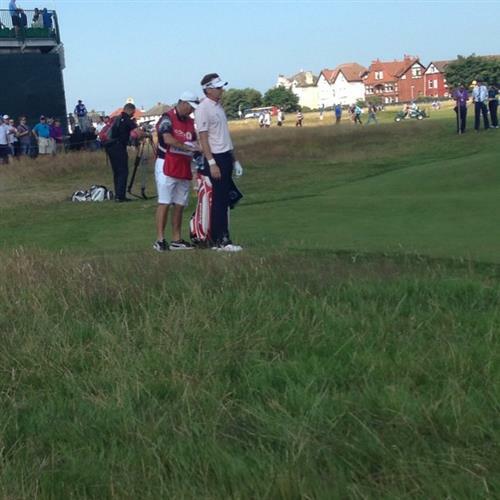 In other news, Ian Poulter's had a torrid start with two bogeys on his opening four to slump to two over. The first group are finished and Sweden's Robert Karlsson signs off with a par on the 18th to record a three-under round of 69. For the moment, that's good enough for a share of the lead. In the same group David Howell cards a level-par 72. A decent day's work from the man who finished seventh in 2008. Big move from McIlroy, sinking his first putt on the par three 6th for birdie. He's three under and right in the mix now. Amateur Ashley Chesters still going strong at one under after 14. In stark contrast, fellow part-timer Bradley Neil enduring a torrid round at six over after just 11. Remarkably Chesters is the best-placed Englishman at Hoylake at the moment. Luke Donald is level par while three-time Open champion Sir Nick Faldo is also level after par fours on his opening two holes. 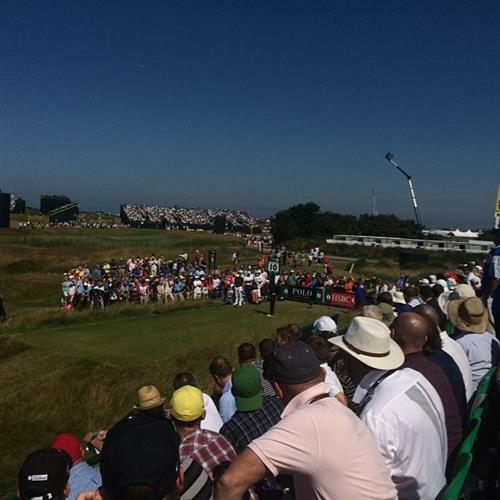 Shrewsbury-born amateur golfer Ashley Chesters is currently leading the likes of Tiger Woods and Darren Clarke at The Open. 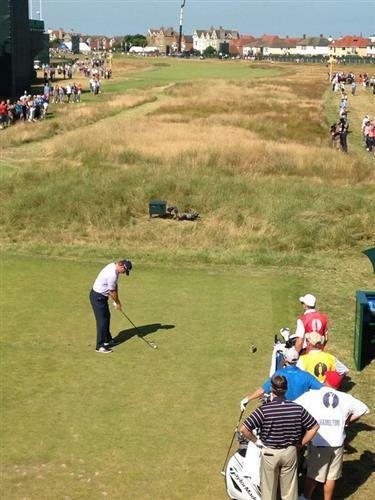 First mention of the day for the USA's Jim Furyk, who has just birdied 10 to go to three under. A great start from the 2003 US Open champion and with three 4th place finishes in the Open in his career, a man not to be discounted. The surprise name in that six-man list is Italy's Matteo Manassero, a golfer who has never recorded a top 10 finish in any of the Majors. Japan's Hideki Matsuyama picks up a shot on seven and it's all change again as seven hopefuls now share top billing at Hoylake. Haven't these golfers been warned NOT be out in the sun between 11am & 3pm? Report them to Health & Safety fascists! Sergio Garcia finishes his round with five consecutive pars to post a four under 68. The Spaniard is solidly in the hunt while playing partner signed off with a par of his own and is one shot further adrift. 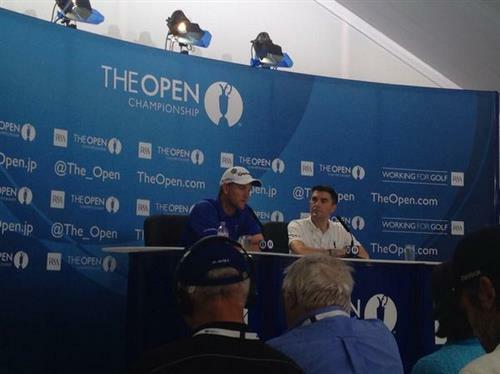 A good day so far for Scotland's Marc Warren who is three under after 11 and chugging along very nicely indeed. With the exception of McIlroy all of the current top seven are now in the clubhouse. 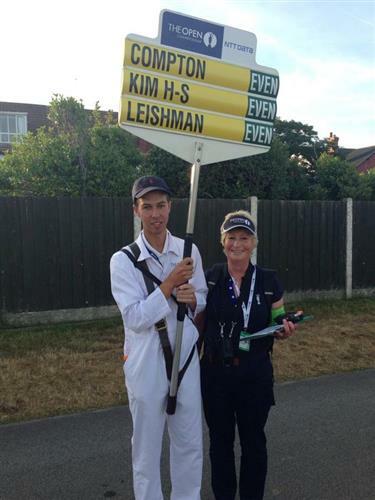 The question now is whether the 'afternoon boys' will be able to make a significant impression on the leaderboard? FYI, defending champion Phil Mickelson tees off at 2.05pm. Mickelson will be partnered by Ernie Els, the 2002 and 2012 champion, and Bubba Watson, the reigning Masters champion. Group of the day? Probably. John Singleton birdies the 10th to return to level par and the popular local boy isn't letting his considerable support down today. Mr Woods has finished with par on the 18th for a three under 69. It seems only moments ago he began his round with bogeys on the 1st and 2nd but rumours of his demise were obviously exaggerated and all those ahead of him at the end of the day will be glancing nervously behind tomorrow. After a tough start looks like @TigerWoods is again ready to compete. Only first day, but Tiger is in hunt with a -3 69 at #TheOpen. Bogied first two holes, but bounced back.